In the county you can find the South-Balaton wine region, which was famous for its viniculture as early as the Roman times. From the Gömbkilátó (Globe look-out tower) of Balatonboglár you can enjoy the unforgettable panorama of the region. Between Kaposvár and Szilvásszentmárton you can go along the Road of wild flowers lined with twenty-one wooden statues of plants typical of Zselic. Apart from the "Hungarian Sea" with a wonderful panorama, in the region you can find valuable relics of architecture, cultural history and fine arts. In the Rome-villa of Kaposvár painter József Rippl-Rónai lived and worked, where several of his paintings can be seen including Merengő (Meditating) and Lazarine a tükör előtt (Lazarine in front of the mirror). Two famous composers lived in the county: Jenő Huszka spent his summers in the Huszka-villa in Fonyód, while in Siófok a memorial house was established in the former birthplace of Imre Kálmán. 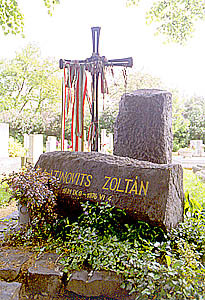 In Balatonszemes you can visit the Zoltán Latinovits Memorial House, where photos and documents present the king of actors, while in the Attila József Museum of Balatonszárszó you can find an exhibition presenting the life of the poet. The county is rich in monuments. You can see the ruins of the Romanesque Benedictine abbey of Somogyvár, built by the order of King Saint László according to the legend. The Lutheran church of Siófok designed by Imre Makovecz is a perfect combination of folk and modern architecture. In Balatonboglár two neo-Gothic chapels await the lovers of fine arts with their exhibitions: the Red and the Blue chapels. 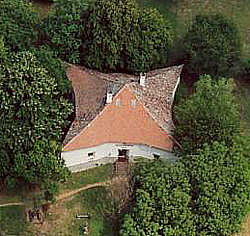 In Szántód the Tourism and Cultural Centre of Szántódpuszta established in the former manor presents the history of Hungarian agriculture with the help of relics of local history and exhibiting the former servants' flats. The building of the Town Museum of Csurgó used to be a Calvinist school, where poet Mihály Csokonai Vitéz worked as a teacher. In the Zichy mansion of Zala you can find the Mihály Zichy Memorial Museum. In the Csillagvár (Star castle) of Balatonszentgyörgy, which was thought to be a border castle for a long time, although it was built "only" at the beginning of the 19th century, you can find an exhibition presenting the life of the border castles. The mansion of Szőlőskislak was built nearly 100 years ago. One of its famous owners was Franciska Gaál, the film star of the 1930's. The building houses a wine museum offering wine tasting, as well. In the port of Siófok you can see ships even from the 19th century, but you can take part in excursion boat programmes, too. The Crypt-villa of Fonyód was built by Ödön Abrudbányai-Rédiger in memory of his lost lover. There is a legend about the life-size statues of the marble marriage room saying that the young couples who visit the place will love each other forever.